Nike has made the biggest mistake of their business career. With Nike’s announcement of Colin Kaepernick as a spokesman for their new advertising campaign, a number of consumers are pledging to boycott the company in response. As the time goes by, more an more people are stepping up and stand for our country! On Sunday, Rev. Mack Morris cut up his Nike gear during a sermon as a sign of protest against the company’s partnership with Colin Kaepernick. 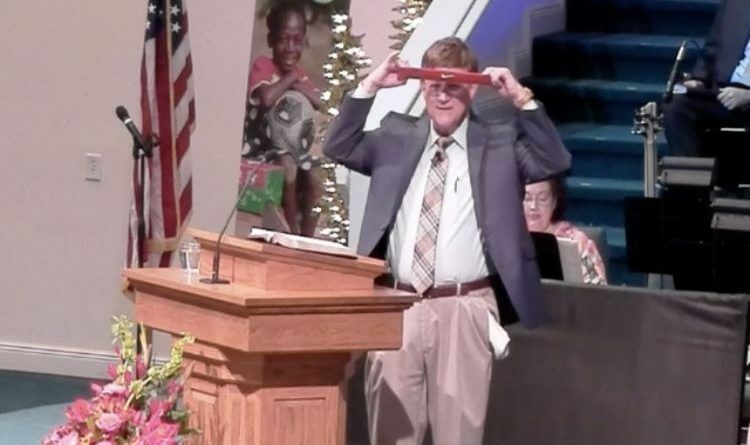 The senior pastor at a Baptist church in Mobile, Ala., held up a Nike headband and wristband in front of the congregation at Woodridge Baptist Church and cut them with a pair of scissors, which prompted a standing ovation. “America may not be the best country in the world and we have a lot of faults, but I tell you what, a lot of folks died for the sake of what the flag represents,” he added. This is a good way to get Nike’s attention. It is a good thing that more and more people keep putting the word out on this. And the best way to make an impact is to get people to quit buying from Nike. That can definitely make a difference! We would support someone that has no respect for our country. As it is said… what goes around comes around!